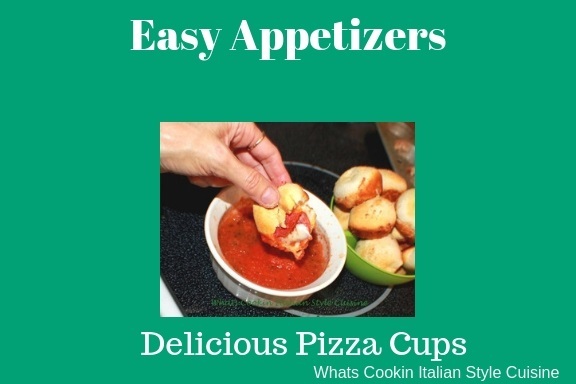 I love these pepperoni pizza cups and cheese appetizers. These by far will be the easiest stuffed pizza dough you will ever find so easy. Delicious soft pillows of dough stuffed with cheese and meat. Whether you make them for game day events, holiday appetizers, picnics, or an anytime snack, these will be that perfect quick and easy appetizer. Serve with freshly heated marinara dipping sauce. These are always asked for this recipe. The easiest recipes are the best aren't they? Check out my secret baking pan that make them perfect and no fuss at all! I love a good tomato sauce homemade which we call marinara. You can make the sauce fresh or buy store bought. 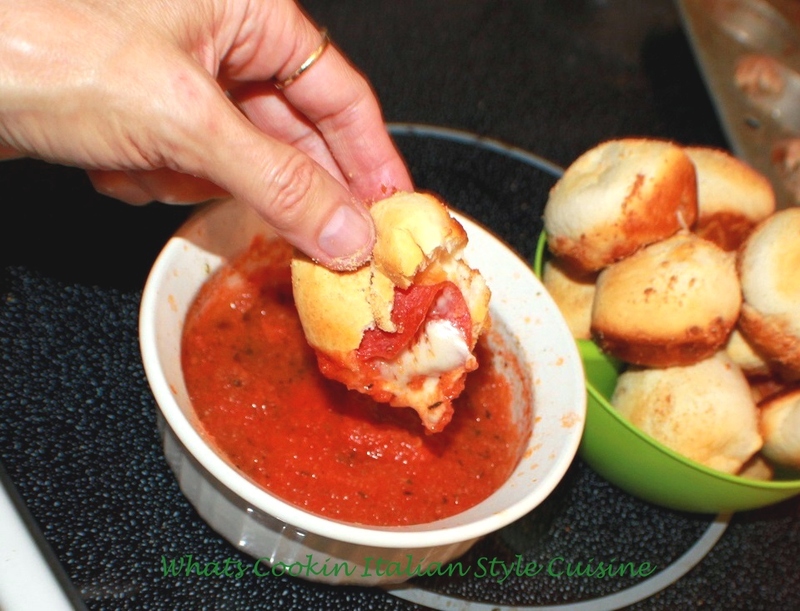 The sauce is a delicious dip and perfect way to serve these pizza style pepperoni cup appetizers. If you prefer other sauces, try some of my other homemade dipping sauce recipes, my son loves to dip his in blue cheese dip or even ranch. You can use any of my other dipping sauce recipes here. I use my homemade pizza dough recipe, but you can buy store bought for this recipe. I love how easy these are to make and pop in the oven. They are done in no time, but beware of biting into them as soon as they come out, we have all burned the roof of our mouth because we just can't wait for them to cool! 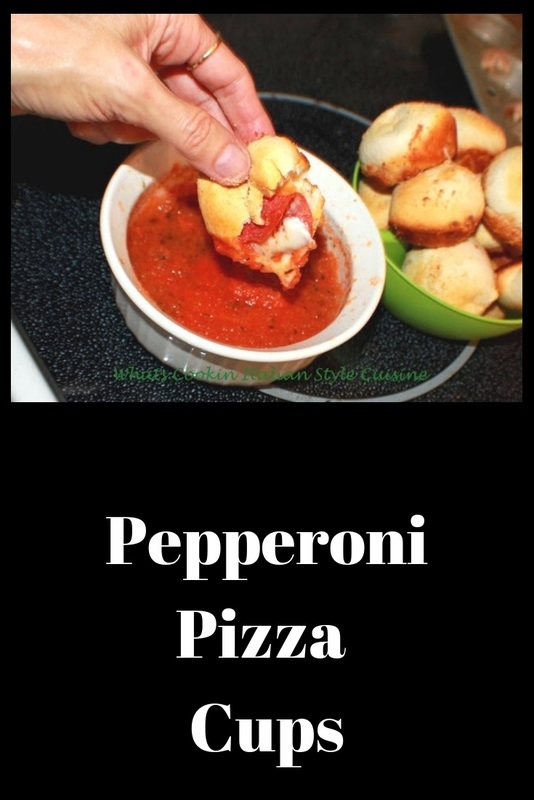 The melted provolone and mozzarella cheese go great with pepperoni and are the perfect combination of flavors. I don't know what took me so long to figure out how awesome these are to bake in a cupcake tin! 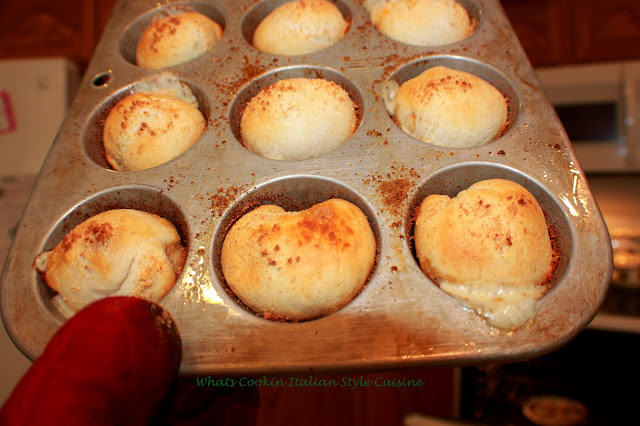 My secret tip to all, they stay perfect in shape and bake evenly, I love using my cupcake pan! The appetizers won't stick if you spray them first with cooking oil spray. If you don't like pepperoni, stuff your pizza dough whatever you like. Try and make an all veggie one. I have used raw spinach, tomatoes, chopped mushrooms blotted dry and diced eggplant, just make sure you get the water out of any of the vegetables you use first. You can use chopped medley of meats too like cooked sausage, ham, bacon, steak, shredded chicken or pork. Doesn't matter what kind of meats you use, everything taste better with cheese right? These cheese and pepperoni appetizers are our favorite combination. Get creative and make your favorite and don't forget the marinara for dipping them into. We think these pepperoni pizza cups and cheese appetizers with marinara are the best for any time of the day and just because without of reason. 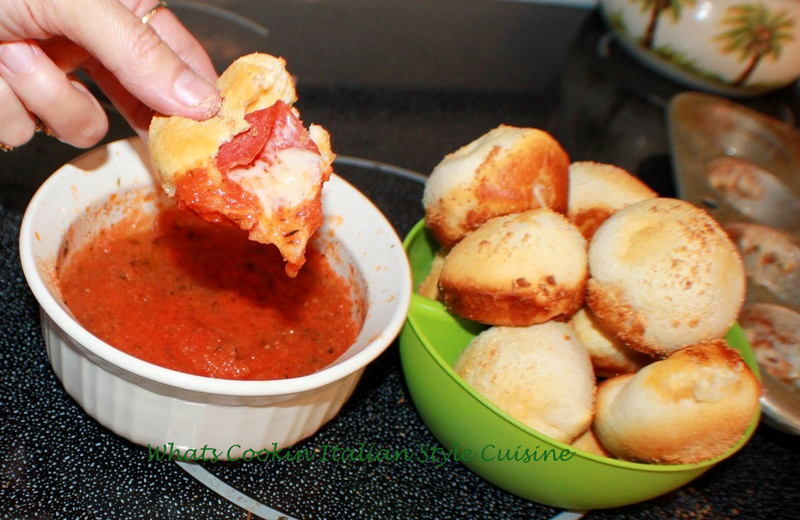 These are a stuffed pizza dough with pepperoni and mozzarella cheese. 1 pound of Italian Pizza dough or 2 or more packages of refrigerator biscuits (10 in tube) if you want to make it quick or use store bought pizza dough! Take dough out of rolls and on a floured board or piece of wax paper, flatten with your hand. Take a few pieces of pepperoni and a piece of each cheese and place it into the middle of the dough. Roll it up and place it seam down into a oil sprayed cupcake tin. Do this with all of them until desired amount is completed and placed into tins. Sprinkle the tops with granulated garlic and grated Parmesan cheese. Bake on a preheated oven at 400 degrees until browned around 14 minutes. Serve with marinara sauce. Love this! Has to be delicious! Happy Thanksgiving to you and your family, Claudia! I am so doing this. This is a recipe that gives lot of returns for minimal prep! And I can see how addicting it is! What a perfect idea for the kids lunch! Pinning this so I can make it for them. love the easy to follow directions. I am sure my children will love these pizza cups. So yummy! This would be a great movie night snack! or heck ... just for supper because I love pepperoni! These look great. I make something very similar and everyone loves them, they make a great snack for family movie night. Oh how fun! I remember eating something similar as a kid, I never knew how to make them though. I'll be trying this recipe with my kiddos for sure! My weakness is bread, and meat, and cheese, and marinara sauce. Gee, I guess I've got quite a few weaknesses -- especially when it comes to Italian flavors!! Those appetizers would not last long at our house, especially with the grandsons. I'll have to make some for them. My kids favorite lunch box treat. 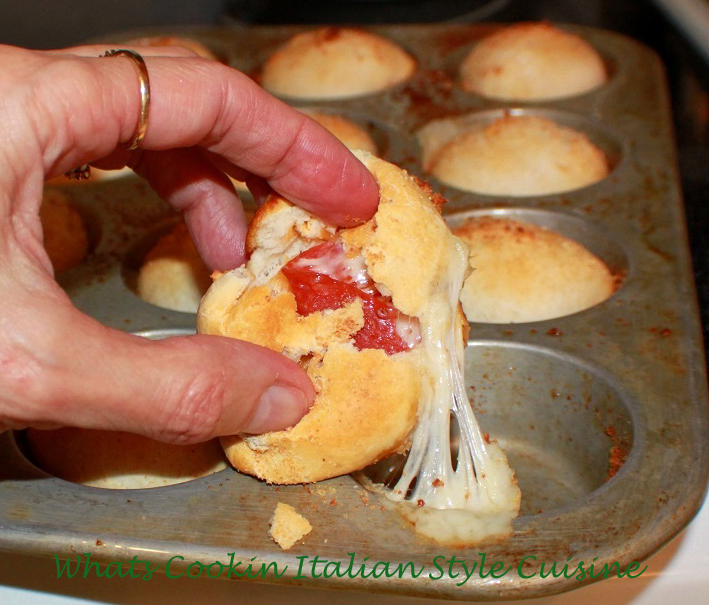 I too make such mini pizza cups in muffin tins and store them for the kids pizza. It so handy to have on hand when the kids friends come over too. Love bread and this looks like something we all can enjoy.